Poppy was heading out on a trip to California. 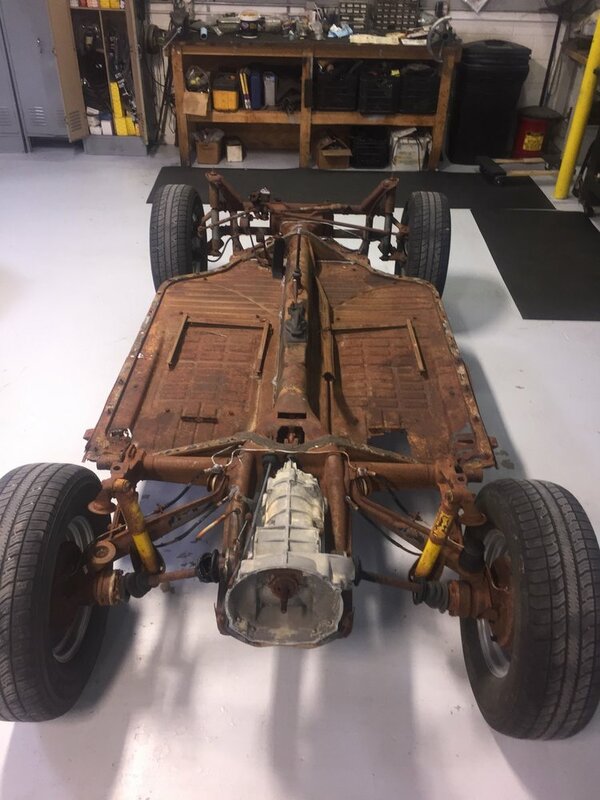 A mostly original car, she needed some basic safety attention: new seat belts, alignment, new front disc brakes, shocks, wheel bearings, shift rod bushings, pedal pads, mirror, vent window replacement and more. To top it off, a new Bluetooth radio and speakers for a nice long drive! Long - time client's roof and sunroof needed some loving. Motorworks Restoration team to the rescue. New Floor Pans and powder coating of chassis for clients pet project. This poor guy was in an accident and dented his front nose. Motorworks straightened the front frame and replaced the nose. He is good as new! Volky came in for a full inspection and his owner decided to repair some unsafe brake line routing, put in new carburetors, new front beam castor shims etc. Motorworks made him fun to drive again! 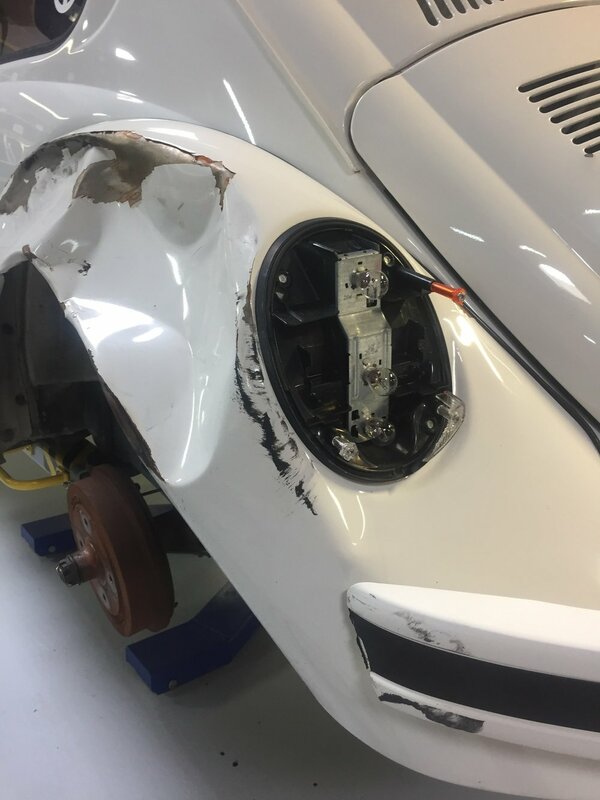 Fender and bumper accident damage were repaired by Motorworks. New brakes, struts, oil change, alignment, mount and balance, engine work etc. 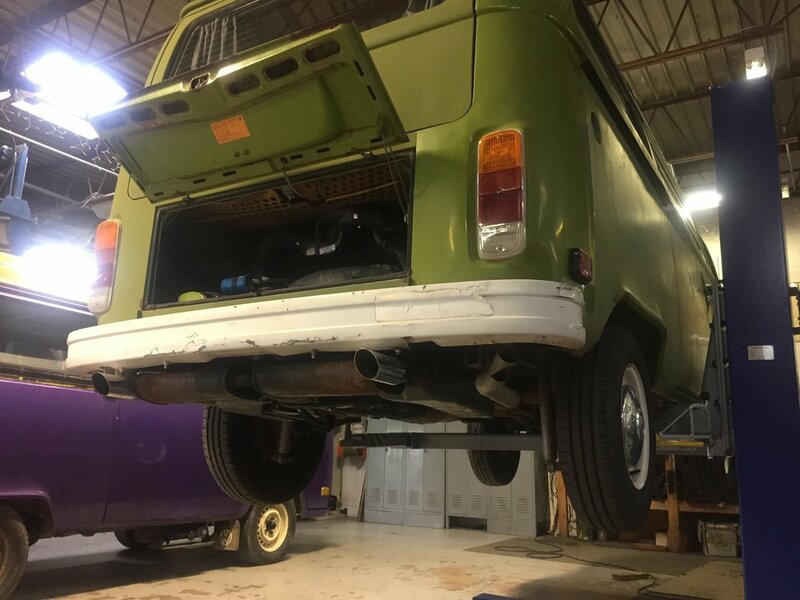 Our client brought his Squareback in for a full brake suspension rebuild and drop. Motorworks also installed a rebuilt transmission and rebuilt the top end of the engine. 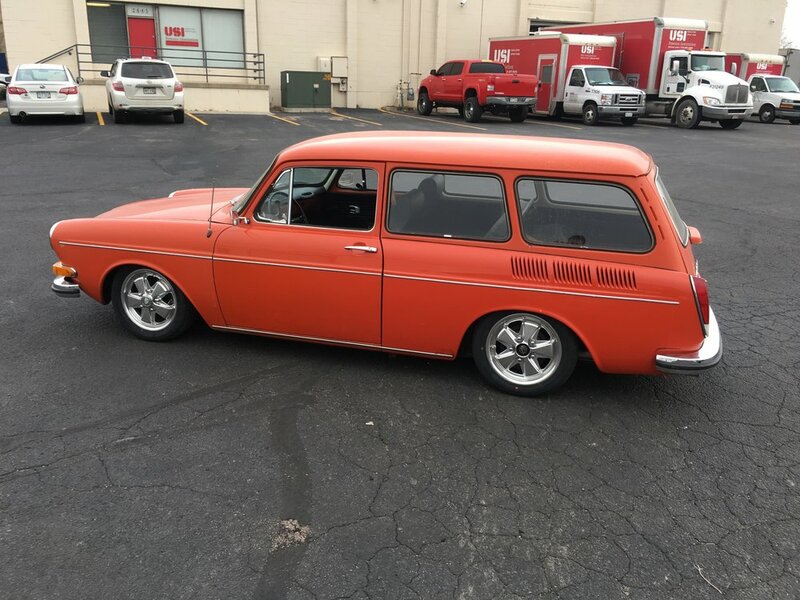 Squareback was upgraded with Porsche style wheels and new tires. After alignment and all work was completed, this Squareback was treated to the Motorworks spa: buff, wash and full detail. This Westy had inoperable wipers, needed new push rod tubes, was missing some barrel nuts, and leaking oil. Motorworks sent him on his way running smoothly. 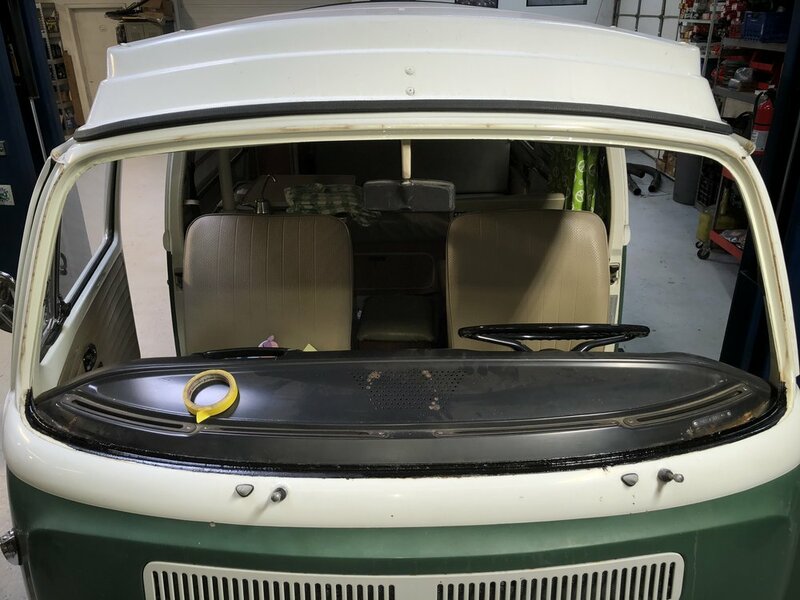 A new windshield and alignment was all this Westy needed. 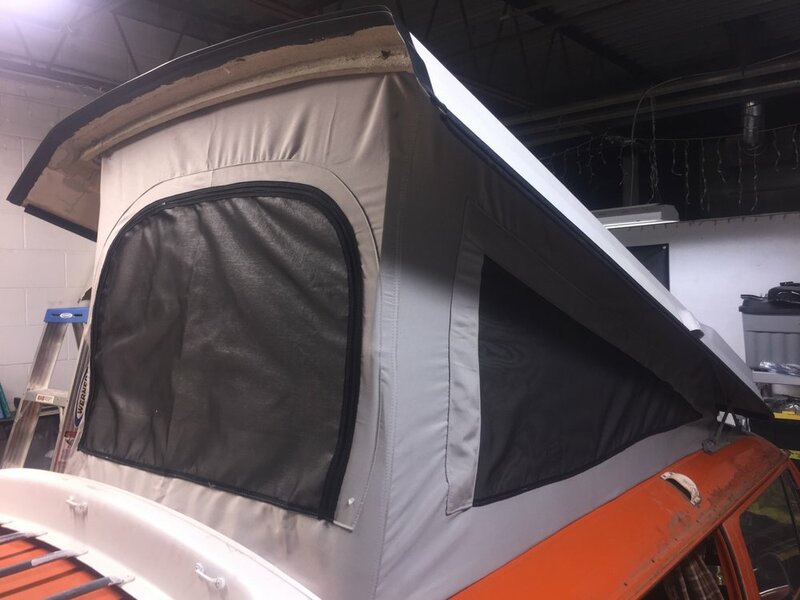 Our customer was gifting this camper to his teenage son. New brakes, fuel pump, hoses, axles, master cylinder, heater cables, alternator, lights to name a few. And to top it off... A new pop-top!